It was great to be invited back to HR Tech Europe in Amsterdam as its MC for the second year. Also the thought leader panel (above) seemed to go well, and the iHR competition was great too. Yesterday was Linkedin’s huge European Talent Connect conference for recruiters – over 500 people, double last year’s attendance (though still a lot smaller I’m sure than the US version held in Las Vegas recently). The event was a mixture of announcements around Linkedin Recruiter tools you’re hopefully aware of (and if you’re not, you should be! ), some useful professional inputs eg Glen Cathey with a bit of basic Boolean and Matthew Jeffery on the latest instalment of Recruitment 99.0 (we’re up to 5.0 now). And there were quite a few case studies too. So – what do I post on? Well, I had been meaning to make this a non-social media post, but then I do see social as being pretty much at the heart of most of the transformation of recruitment (and also at the heart of yesterday’s conference, as long as you’re happy to see Linkedin as a social technology). Even some of the other key themes like candidate centricity (which, since this blog, and my whole focus really, is devoted to people centricity I heavily endorse) is build largely upon participation in social conversation. And I do also think that one of the most interesting things about yesterday was that this wasn’t even the only social recruiting conference going on in London yesterday – there was also Bill Boorman’s TRU unconference, and Mike Taylor’s Mobile Recruitment conference (OK, I know mobile is a slightly different agenda to social, but most people use their mobiles to access social sites, and do their social updates on their mobiles so it largely comes down to the same thing). So sticking on the social element of the event, possibly the most interesting presentation, I suppose, was Linkedin’s announcement (though already launched in Las Vegas) of the Talent Brand Index = Engagement over Reach. I thought this was interesting given the ‘tweet-off’ between O2 and Tesco earlier in the week – because although I do think they had gone badly wrong here, I do admire their willingness to take a risk. There’s a new term in town – social HCM. Or so it would seem…. It might just be coincidence of course, but I recently received a press release about a UK based system called Fairsail, linked to the USA’s HR Technology conference last week. Of course many HCM systems are already quite socialised (see this post) and Saba branded itself the people collaboration system for a while, but this is the first time I’ve seen one describing itself as a Social HCM system. Then I got a Facebook invite to discuss Social HCM with Bjoern Negelmann who runs the European Enterprise 2.0 Summit in Paris and which has led onto a Google + Hangout discussion I was supposed to talk at on Wednesday, but unfortunately didn’t manage to make (actually it’s a Hangout On Air which means you can watch the archive on Google / YouTube too). So what is this thing – social HCM? Well you can see Bjoern’s thoughts here. As usual, I have a rather different take. One of my beliefs about HR – taken from Dave Ulrich – is that we need to focus much more on outcomes than we do on activities. This 1. makes us more strategic as we avoid investing in activity for activity’s sake; 2. makes us more credible as people who deliver things are always viewed more highly than people who do things; 3. gives us a chance to take accountability for the outcomes we produce; and 4. gives us more opportunity to create value by taking these outcomes to our business colleagues as things we can deliver which will help the business improve, rather than just talking about how we can support the business to do what it already needs to do (ie moving from adding to creating value). 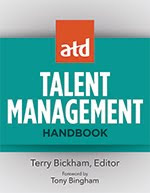 It’s why I define HCM as managing people to create human capital – activity to provide an outcome. There are probably three possibilities. 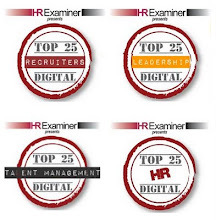 The first is doing HCM – or probably more realistically HR – in a social way (activity). As Bjoern suggests, this might be about being more open, co-creating, collaborative etc. These are great approaches but this still leaves the door open for following these approaches for their own sake. Also I’m not convinced that all organisations need to use them. And I expect that those who believe most organisations are going to become highly open, co-creating, collaborative are being overly optimistic. I can’t see it happening, and don’t necessarily think it needs to anyway. The second possibility is focusing on creating human capital through social approaches (a mix of activity and outcome). For example trying to raise employee engagement by creating a more collaborative environment, as most people – though not everyone – would agree this is one of the major engagement drivers for employees around the world. This is good too, but is really just an aspect of HCM – I’m not sure there’s enough to justify a new name for it. 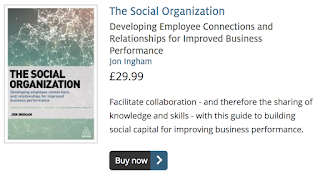 And the final option is about creating social human capital (outcome) – which you can just call social capital really – so social capital management (SCM) then, ie the management of people to accumulate social capital. The problem with this is that you can’t really do this – ie manage people to create this outcome. You have to lead and enable them instead. (Actually the same thing applies to HCM but the requirement is even more pronounced with social capital – and the dissonance associated with calling it SCM therefore that much greater too). It’s the third of these options which excites me, and I’d suggest organisations, their HR functions and Enterprise 2.0 practitioners need to think about. I've been catching up on the blog posts from the USA's HR Technology conference in Chicago this week. There's a good list of these on XpertHR, however, one of my favourites that is missing from here is Kevin Jones' post, 'HR Doesn’t Get Enterprise 2.0 – But They Should' - also see this post of a session I saw Kevin present a few years back. "I was there to see just how well Enterprise 2.0 / internal social technologies / collaborative technologies have made it into the HR profession.First of all, we have to realize that if there is any place collaboration should live – which is meant to increase employee performance – where sharing knowledge or connecting employees to share expertise should live, it should be HR.Granted, there are a myriad of reasons why it should NOT live in HR depending on the organization, but if we take it generically, it just makes sense." I totally agree on this - which is why I was attending the Enterprise 2.0 conference I mentioned above. And of course, Kevin and I aren't the only people who think like this - see my recent build on Yvette Cameron's post. And I'd also mention Dan Pontefract and Bert Sandie as other proponents. I think Kevin is being a bit unkind here - social is being increasingly integrated into various HR systems. One of my favourite examples is SuccessFactors, which currently sponsors this blog. SuccessFactors incorporates Jobs2Web which does the hooking into LinkedIn and Facebook that Kevin writes about. But it also incorporates what used to be CubeTree and Jambok as Jam which provides a very effective social solution, for enterprise 2.0 needs as well as HR functionality like social learning (see the screen shot). The technology is there. I still think the bigger issue is lack of interest in the technology. As Kevin suggests: "HR (obviously) isn’t looking at E2.0'". I hope conferences like HR Technology (US), HR Technology Europe, the Melcrum Summit etc will help more practitioners engage more with this agenda, and the technology vendors like SuccessFactors which provide some really transformational functionality these days. This post is sponsored by SuccessFactors. SuccessFactors provides Business Execution Software solutions that drive outstanding business results in organisations of every size and category. The insights we've gained serving 3,500+ customers with more than 15 million subscribers in 168 countries and 34 languages helps us better serve and grow companies like yours each and every day. With a customer-focused ethos as our single most important and recognized quality, we have worked to achieve a growth rate 3x that of our nearest competitor. In fact, we’re one of the fastest growing public software companies in the world. Simply stated, SuccessFactors works every day to help companies just like yours achieve the best possible business results with Business Execution software solutions that incorporate the latest research, the smartest technology, and the most secure systems on the planet. Contact SuccessFactors here or call +1 800 809 9920 or in the UK +44 8450 742990. #MelcrumSummit - More time for time out! I missed the first couple of sessions again today, partly again because I've already posted on these organisations - e.g. M&S Plan A. However what really resonated for me was Susan's comments on needing to rethinking IC's role and recognising that insight is key. The one thing Syngenta business leaders want from their IC people is to really challenge them - based upon this insight. That took me back to another key point from the conference - one more of Anne-Lise Kjaer's wise insights that the biggest barrier to change for our organisations today is that we don't have time to think. And that this is a problem because we desperately need a new model. I agree. That’s why I’ve been so excited about the theme for this conference: ‘competing on the curve: re-engineering IC for agility, productivity and impact’. Exactly. In fact if I can digress further I'd like to quickly comment on a theme running out of some business meetings recently. These are all large UK companies, but aren’t performing particularly well. In one meeting in particular my contact was at pains to stress that the company is well in the top quartile for their HR support. However he/she never goes to conferences - so how do they know? - and where's the impact? In one of the meetings, we talked about how the senior HR leader never even use the corporate social networks which are heavily promoted by their IC teams (I think I've posted on them as a case study before too) - and they don't know anyone who does. And one of my contacts talked about his experience in developing as a leader as being about ironing out all of their quirks (whereas I talked about becoming more and more eccentric!). I don't think any of these companies understood the need for a new model (a more personal and social one). And they're not doing any thinking about how they need to change even if they did. Their own hubris about their own effectiveness also isn't going to help. So I can't see their business performance increasing at all - can you? In fact I think they’re all likely to become increasing misaligned with the needs of their business and even more so, the hopes and expectations of their employees. The Expert asks "Who am I?" They lead through controlling the world around them through the quality of their knowledge, intellect and expert ability. The Achiever asks "Am I successful?" They seek to manage people efficiently and effectively to achieve work goals. IC business partners therefore need to let go of their expert identity in order to start building a new one. I think the suggestions from the groups when we got into talking about the capability needs for IC teams suggested most attendees are still focusing on themselves as experts rather than strategists. I'd also suggest this is the reason for the different perspectives on measurement I commented on yesterday. "We are who we think we are, so we should be very careful who we think we are." Mind you, the 27% of attendees whose organisations don't give access to social media sites may just be best of spending a day in the office to challenge this approach. But that's another blog post! This afternoon is focusing on IC and change and we're starting wih Flemming Norrgren, author of Higher Ambition which had already been trailed by Anne-Lise Kjaer. Anyway, it's not a single killer on their own that's important, it's when they act in tandem. And the root causes are often the lack of rust and honest communication which requires a change in how leaders behave. Norrgren recommends a rapid strategic change process - locking the leaders in a room and giving them a few hours to come up with three or four new strategic goals on one piece of paper that they're all signed up to. The next presentation was provided by two ex-Pfizer communicators about a project there. Most of this what about damage limitation recovering from a top-down imposed change - exactly why, whilst I think there are some interesting ideas in Norrgren's approach, I still don't think it's fully there yet. And I'm also back here again tomorrow. The next two presentations this morning have been from Rebecca Edwards at GE and David Harrington at Shell - both good case studies with similar themes. The main topic for me is about too much communication - meaning that the goals for Internal Communication practitioners shouldn't be to communicate more. Shell have 6000 users of their corporate social network, Q&E and 1372 articles were posted in June but 74.3% received less than 100 views. David Harrington showed a nice video of a Shell employee being served a succession of foods which acted as a useful metaphor to the way we often try to communicate, communicate, communicate (it also brought back fond memories for me of sponge puddings in the Shell Mex restaurant when I was working there 20 years ago. David is big on measurement, in fact for him, if you can't measure something you shouldn't do it! (NO - see these two posts for why: 1, 2). This also provided an interesting contrast to Anne-Lise Kjaer's perspective that measurement is sooo 20th century! - a difference which unfortunately we didn't get a chance to explore. GE try to tailor their communications (to potentials and alumni as well as current employees) according to age, gender, culture and ability etc. One interesting thing they do is to allow members to opt-in to particular communications. Today is going to be a busy blogging day as I'm at the Melcrum Summit for some inputs on internal communications from GE, Shell and a range of other companies (Rebecca Edwards from GE has just been talking about the 'lots of conversations' they needed to have HR to open their internal communication site, http://ge-works.com out to the public. 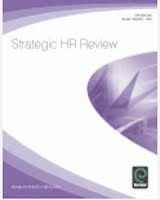 I take it these were difficult conversations so not the greatest start to what I was hoping would be evidence of growing integration between HR and IC!). But we've started with Anne-Lise Kjaer. Now I wasn't going to post on her - firstly because I already have, and secondly because I've been thinking about some things I've been reading about what's been going on at the US' HR Technology conference in Chicago and have been wanting to post on these. But actually I think they're pretty much the same thing. So the main point I wanted to comment on from the HR Tech conference is about the integration between HR and social technologies. I liked the post from Yvette Cameron arguing that HR needs to be more interested in social technologies like Atlassian, Jive, NewsGator, Socialtext andTelligent. I agree! That's why I've been attending and speaking at a range of Enterprise 2.0 conferences in US and Europe over the last five years. However I don't agree with Yvette's reasoning for why we (HR, and IC too I guess) should be interested i.e. that these systems are having increasing impacts on 'social HCM' e.g. social learning and social talent management. Well yes, they are, but that's still not the reason why these systems are so interesting. But there's more. And this is why I've changed my mind and want to comment on this morning's speaker too. Anne-Lise made a very powerful case for why we need to broaden out our thinking - from logical to emotional, and from me to we i.e. that we're now living and working in a we society, not a me society (see her slide if you can read it). This is the bigger shift for all of us - HR, IC, HR tech, Enteprise 2.0 etc etc etc. It's transforming our organisations into true social businesses, through the use of technology, but also by adapting and updating our processes, changing our leadership models, redesigning our workplaces - lots of different things. I still think we should be seeing more of this agenda at HR, HR tech, IC, IT conferences and beyond. I'm certainly going to do what I can to continue promoting it from my end! Bring Your Baby to Work which suggested, quite powerfully, that babies can thrive in the workplace and don't have to reduce their parents' or other worker's productivity. An interesting experiment, and though I don't think many organisations will do this themselves, I hope some do. The Town that Never Retired - with the Apprentice's Nick Hewer and Margaret Mountford looking at the difficulties the ageing workforce will face post the removal of the default retirement age (but comparing them very positively to the difficulties that generation y face in pulling themselves out of bed). And more Undercover Boss, which I think has lost its way a bit, mainly because it's often no longer 'the boss' who is the one going under cover. But my favourite business oriented TV show until this week was the Bank of Dave, following the hurdles the entrepreneurial and quite amazing business owner Dave Fishwick faced in starting up a new local bank to do banking in a moral, ethical and purposeful way and show the established banks that there is a better way. But as I wrote, that was until this week. Because now, I have a new favourite. In Secrets of Your Boss's Pay, ex Greggs CEO, Sir Michael Darrington, made very calm war against greedy bosses, who unlike the way he believes he behaved in his former role, aren't engaged in capitalism as much as carving out money from other people. Darrington made a very powerful case for this needing to be reformed although actually the best case was made by James Caan's self centred challenge to these arguments. But supposing we do believe that Caan would support pay restraint if it was possible in the face of global competition, we also have to answer his question about how this can be done? And for me this is quite simple. Businesses need to find CEOs who care about more than just how much they get paid, and then they don't always need to be offered pay in the top quartile. After all, if money is all they're concerned about, they're not likely to be a very effective CEO. Even if they do still care about the customers and employees (and caring about them because this is the way they can maximise their rewards isn't quite the same thing) - which is unlikely - they're not going to find their employees care about them. Even if employees do engage in George Osbourne's latest wheeze, they're not going to feel compelled to support someone who has often over one hundred times as much to gain as them. "I think the comments here show why this article has missed the mark. It might have been acceptable to pay CEOs high multiples of employees in 1998 but this no longer works. The revulsion expressed below isn't unusual - the same distaste, even disgust, permeates across the employees of many highly paid CEOs. The fact is these organisations, in 2012, just aren't going to be successful if this is the case. We really do all need to be in together, if today's organisations are going to work. Nobody's going to be in it with their CEO if their CEO is paid 50 x as much as them. That's why what may have worked in 1998 just doesn't work today. And why we should not longer be doing it." So well done Michael Darrington. You can find details of his campaign here, though, given the soft nature of this, I wasn't surprised to see that the get involved button isn't working and the call to sign up for the newsletter isn't supported. James Caan would have done things more efficiently, but then efficiency isn't going to help you if you're barking up the wrong tree. "Get shares and become owners of the company you work for. Owners, workers, and the taxman, all in it together. Workers of the world unite." Interesting? - yes. An improvement? - I'm not so sure. Firstly, the upsides to the idea. Well, I'm definitely in favour of employee involvement and part ownership. Finding a new way to give employees a more meaningful involvement in their organisations has got to be a good thing. I can also see that for a new start-up, where this scheme seems to be being focused, a higher risk / higher reward relationship could be very appropriate. But the idea comes with significant downsides too. The main one for me is this 'all in together' thing. That simply doesn't fly. It's certainly a positive move for workers and executives to have more similar types, if not levels, of rewards. But there's not going to be much sense of this if employees have to ditch their employment protection to take on this new 'owner' status whilst their masters still face the prospect of golden goodbyes, whatever the reason for them leaving may be. As well as this, there are a range of big questions which still need to be answered. For example, will other organisations try to impose this new employment relationship on staff where there isn't this same business need? And what happens in organisations where some employees give up their employment rights and others don't? A two-speed Europe may well be the best solution to the current economic and political stalemate in the EU, but a two-speed workforce will come with a whole heap of issues I'll need more time to consider and I bet the government hasn't really started to think through either. To me the employment environment is becoming so complicated that we need a more variable, analogue response - a range of options to suit different requirements, contexts and situations and spans across contingent, part-time and flexible workers. And these options may well have to involve different types of employment protection, but to have to abandon everything for a little more reward seems to me to be overly harsh. Still, in some ways at least, two options must be better than one. And these two options may provide a good basis for the creation of a more diverse set of options. It's also good to see that there is some creative thinking going on, even if it hasn't been completely thought through. And I'd certainly like to see much more of this. I'm not saying that shaving your head makes you successful, but it starts the conversation that you've done something active." Just 10% of top male UK HR practitioners are bald / VNB (actually just two - Stephen Lehane at Alliance Boots and Stephen Kelly at Logica). I'm not quite sure what to make of that - something linking baldness with thinking rather than doing perhaps??? 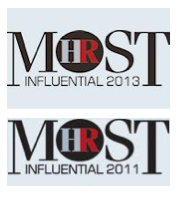 But of course, HR people aren’t always that influential – even the most influential ones! Time to shave it all off though Barack (yes, you can!). With Bill Kutik’s HR Technology conference back in Chicago next week (and then HR Technology Europe in Amsterdam two weeks later) I’ve been having a scan through some of the vendor’s websites, blogs, videos etc to ensure I’m on top of all the latest developments. Have a look at the video for more. The short series of talking heads good fun and I also think they provide good reminder that we are all human. It’s why I think the ongoing debate about checking out candidates’ Facebook pages rather misses the point – if we see pictures of drunken nights in the Union bar so what? – do we really want to staff our organisations with people who haven’t ever done anything they’ve regretted? SuccessFactors may have disguised the identities of the HR professionals in the videos, but would their confessions really be good reasons not to employ them? (err, well – probably yes for some!). But I’ve been thinking I should share my own best confessions with you as well – I’m sure I’ve got some (I’ve not always been the polished professional you see today). But they’re either too old to remember (I’ve been working for myself for nearly seven years and I’m pretty lenient on myself really - so I don’t need to make up excuses to do other things!). Or they’re from the dim and distant (and rather hazy) past when I think my relatively common ‘crime’ was not skipping work – ie turning up with a stinking hangover when I should have been tucked up at home in bed (OK, should just have been a bit more controlled the night before). (And clients – that really, really doesn’t happen anymore!) That’s why I’m a big fan of duvet days too.